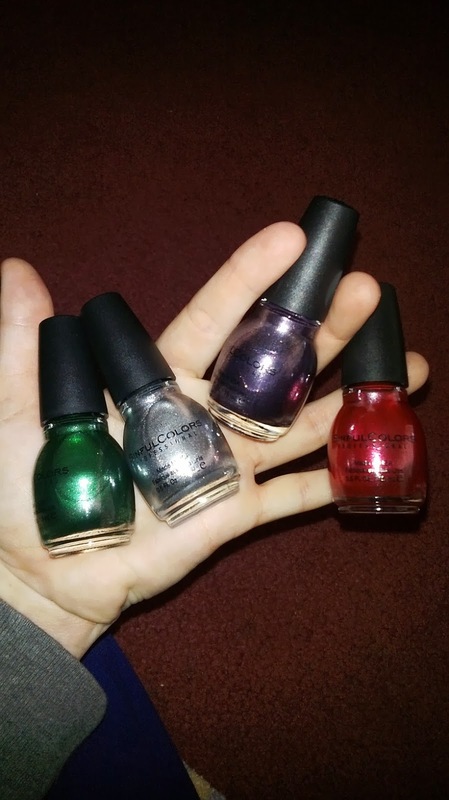 I love SinfulColors polish I have always liked them and what do you know they came out with a collection called Mirror Metallics geared toward Christmas colors and New Year's colors. 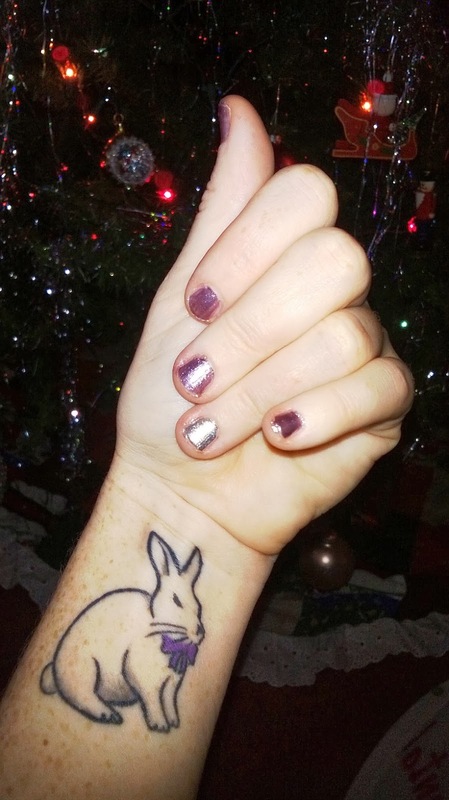 I love the ways these sparkle the ones I choose to review is Triple Platinum which is the purplish color A light shade of lilac tinted with tinsel, the next color is Simply Silver A sparkling ornamental shade of silver. I love this color also these two colors remind me a lot of New Years. 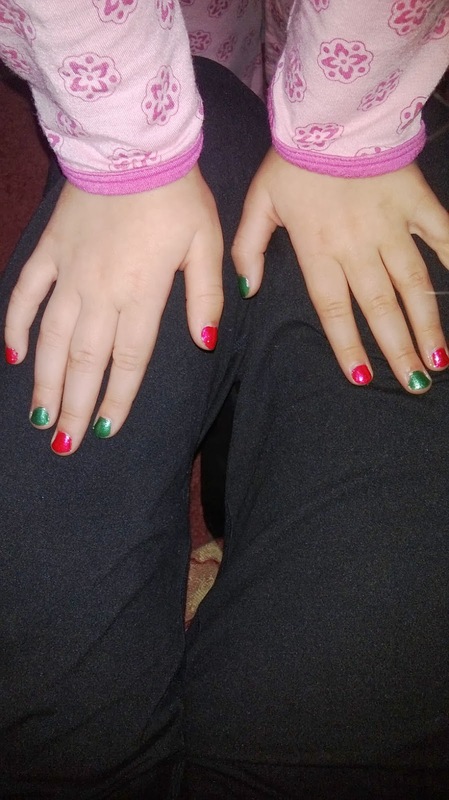 My daughter wanted me to do her nails with the green and red so I used her nails to show you what these colors looked like they are so pretty. 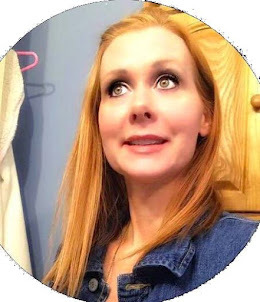 The red color we reviewed is called Red Eye A sprinkle of crimson by candlelight. And the green is called Pine Away A glittery X-mas tree green. Jordyn loved both of these colors and I'll be doing mine these for the Holidays. 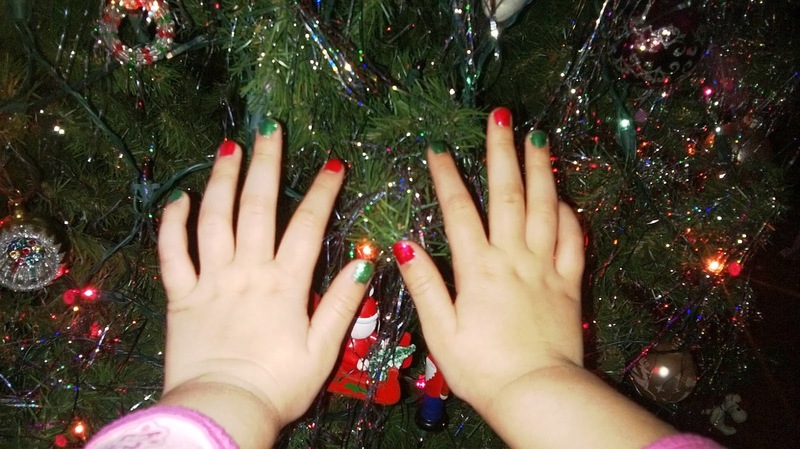 She felt like a princess and was so happy to paint them we did them for her Christmas play. 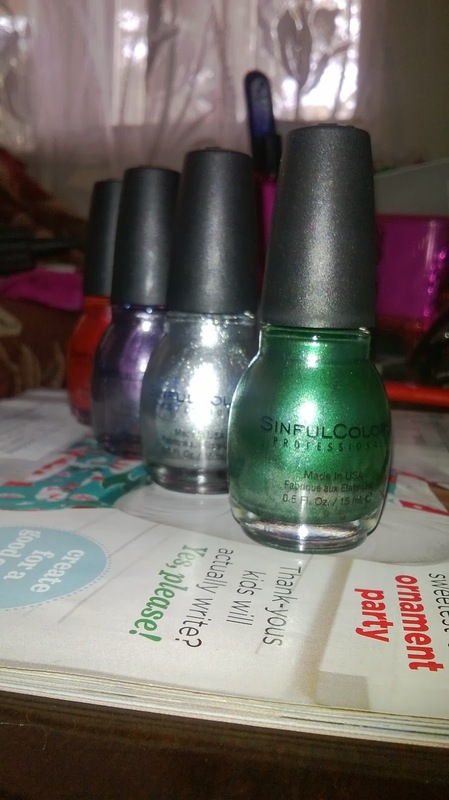 So from my conclusion I absolutely love sinfulcolors polish and will continue to use them for a long time. 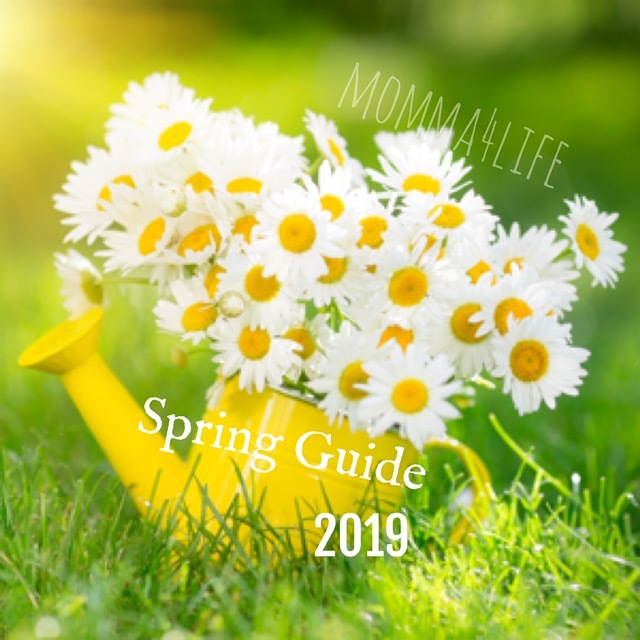 I love the quality and the colors they have and how they come out with different collections!! Check out Sinfulcolors on Facebook and Twitter!! !